I've been a gamer and computer user since the age of four and I've been through a fair few different types of speakers in the game between then and now. Surround sound, wireless, 2.0, 2.1, I've done them all and I've never been happy. It's always been one of those things for me when something inevitably goes wrong. There were always too many wires or the subwoofer was too big for me to fit under my desk, or the sound quality was too muffled for me to tell the difference between Bat out of Hell and Beethoven. Some people tell me I ask too much from my speakers, I say that those people don't ask enough. 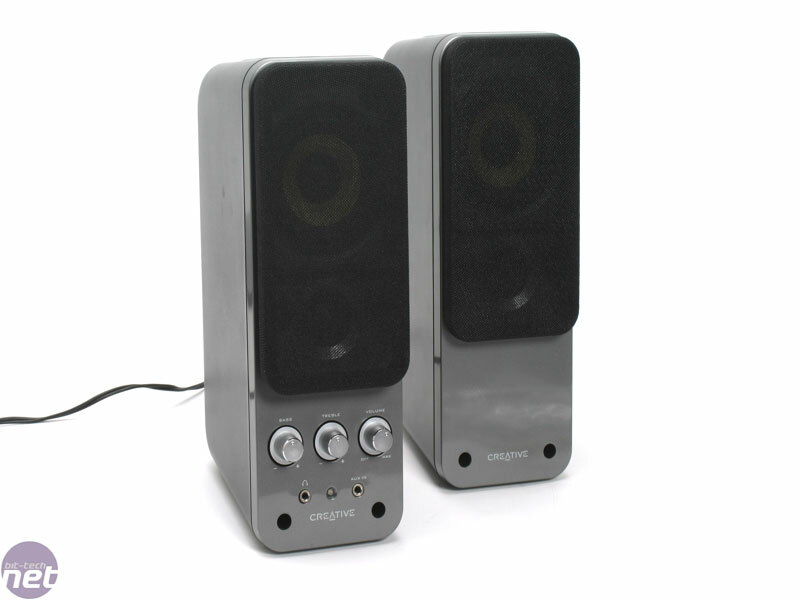 It was a bit of a surprise then when I managed to get my hands on Creative's Gigaworks T20 speakers and found that not only were they the best speakers I'd ever had a chance to use, but that they were affordable to. 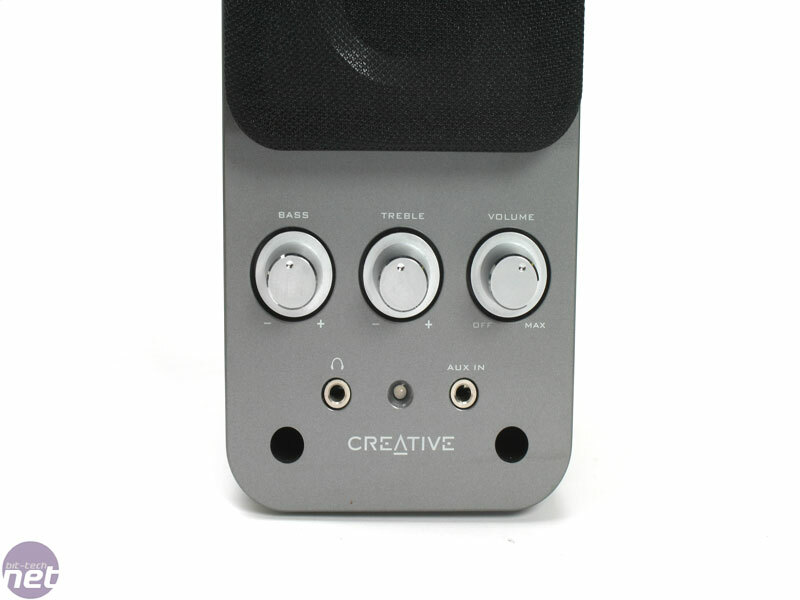 Though really it shouldn't be that surprising, since the Gigaworks label is reserved for only the best of Creative's products. You know it has got to be something special to warrant the Gigaworks branding stamped on it. 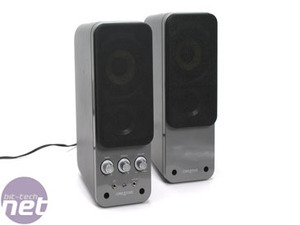 To my surprise though the T20s aren't 2.1, but are actually 2.0 speakers. Which made me look a little foolish when I emerged from between the desks in the bit-tech offices empty handed. 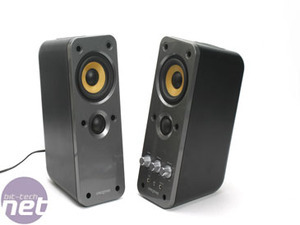 Common sense would have you believe then that the T20s wouldn't perform as well as a 2.1 setup as they would be lacking a subwoofer to give the bass that extra 'oomph'. 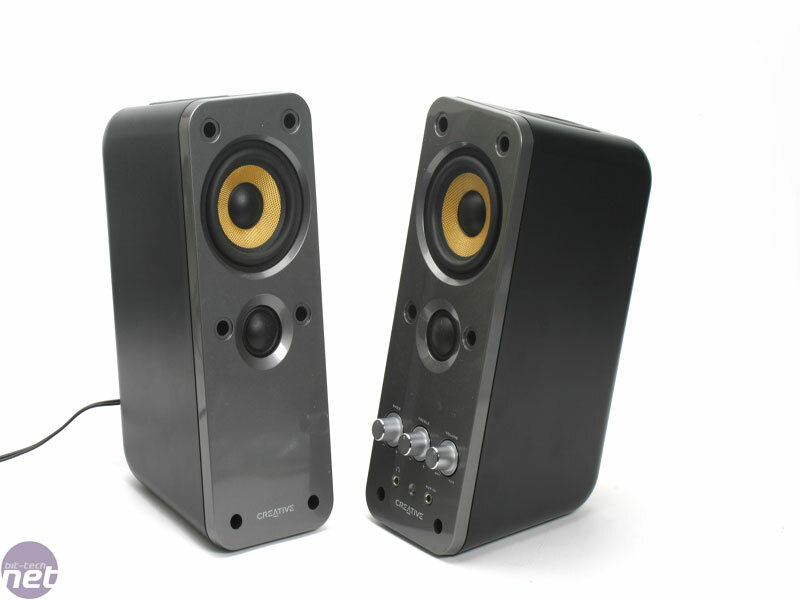 In reality though the subwoofer is usually responsible for a lot of the problems with the sound quality, giving poor bass and resulting in a lot of cross over between the speakers. The T20s therefore forego the subwoofer and instead feature a porthole in the top of their slender, executive looking boxes. 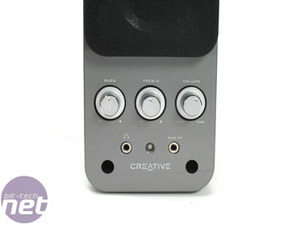 The porthole, dubbed a BasXPort by Creative, if only because some marketing department somewhere thinks it sounds futuristic and cool, is supposedly there to make the lower mid-range tones sound a little better, giving them a fuller sound and compensating for the lack of a subwoofer. It also makes the speakers double as a pot for storing pencils in. 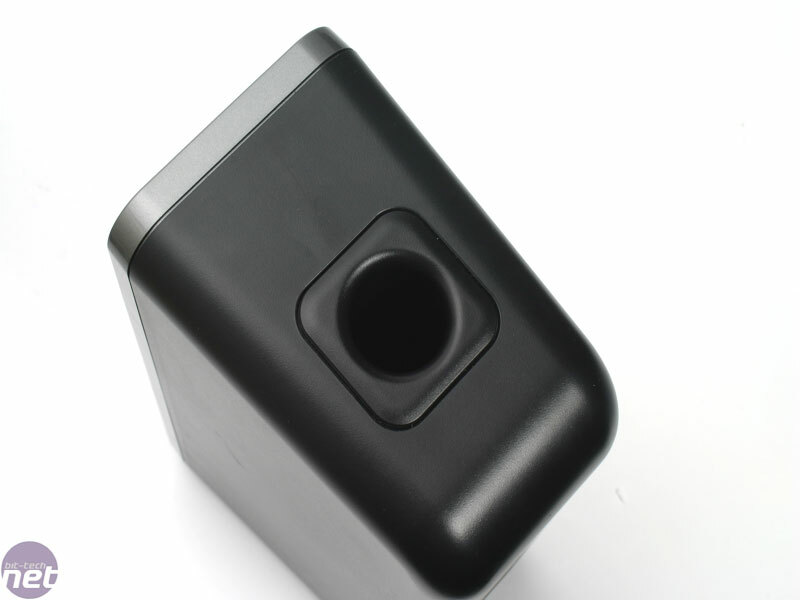 In the bulk of each speaker, there is a mid/low range driver and a high range tweeter. 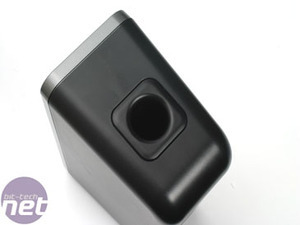 The right speaker also has an auxiliary-in, for connecting iPods and the like up, and a standard headphone jack as well. We tested the T20s on a variety of different types of music. We started them off on The Weakerthans, before moving on to Tom Waits and then Flight of The Conchords. Folk rock and Jazz done with, we pushed it a little harder and moved on to some Bad Religion and Meat Loaf.